I’m no wine expert nor do I claim to be one. But I am slowly beginning to like wine more and more. Could it be the age? Or an influence by people I’ve been hanging out with lately? Perhaps. Whatever reason, wine is something I am starting to enjoy. 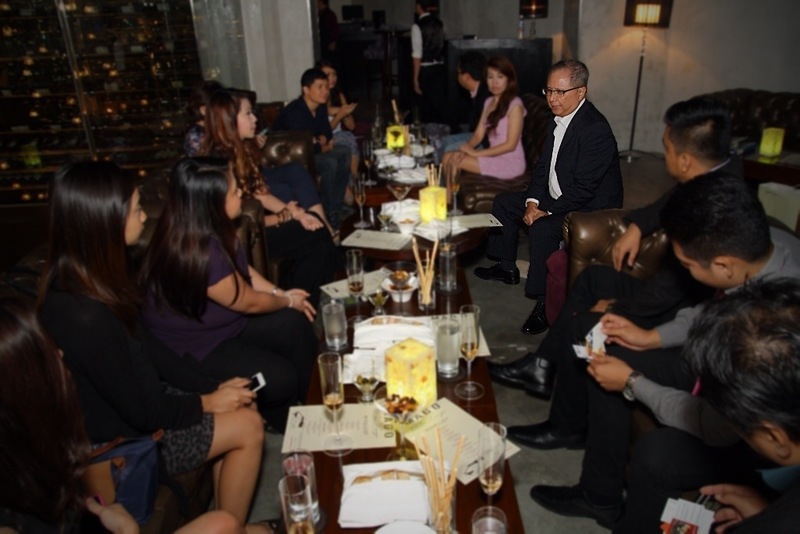 So, when Abigail Tabuchi-Sumida, President of INSHOCK Philippines (the company behind Magosaburo and the Mago Wine Lounge), invited me and my husband again but this time for “Wine Night”, I immediately said yes. Mago Wine Lounge is part of Magosaburo. 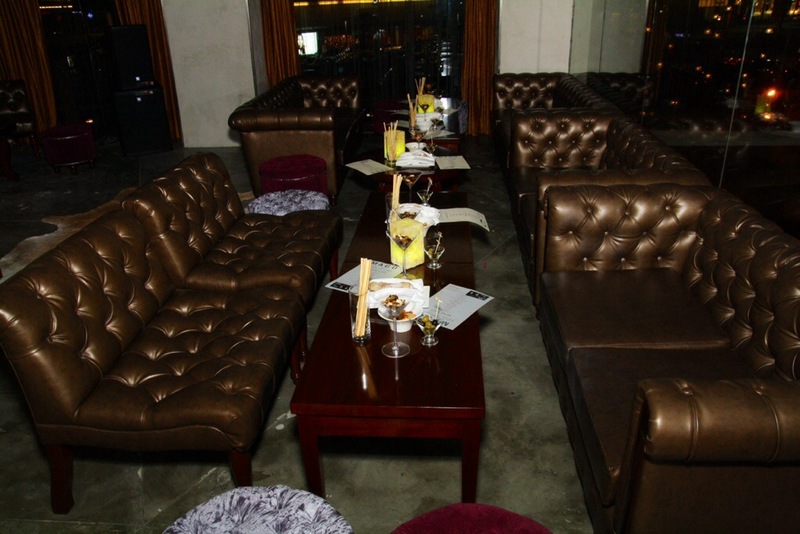 Located at the 3rd floor of the restaurant, it is a place where you can sit down, relax and enjoy the night with the company of good friends. 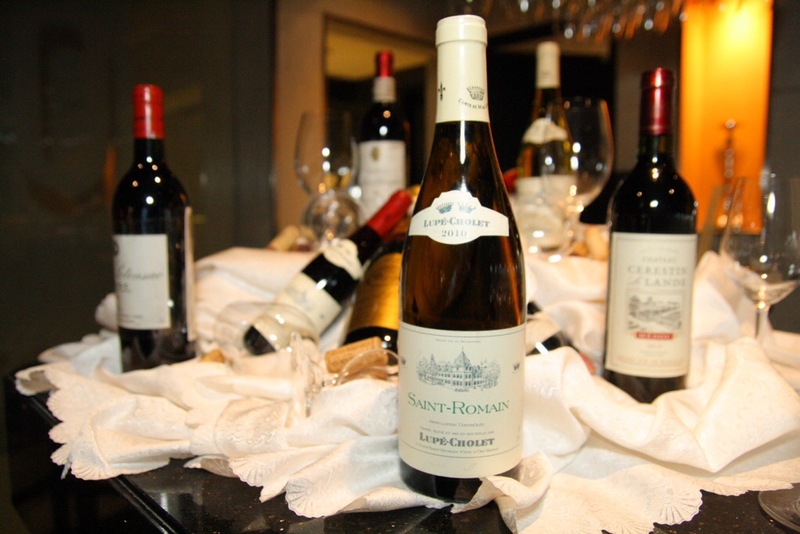 Opened just last September 4, Mago Wine Lounge has an extensive list of French wines and sells them by the bottle, too (prices vary between Php1,600 to Php15,000 depending on the kind of wine). 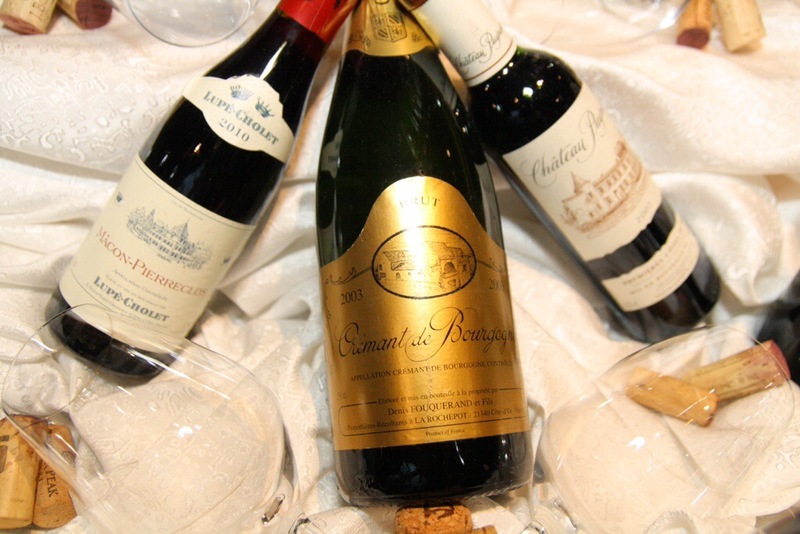 They also have small bottles or half the size of a regular bottle that can serve 3 – 4 glasses. They also have cocktail drinks as well as non-alcoholic beverages. 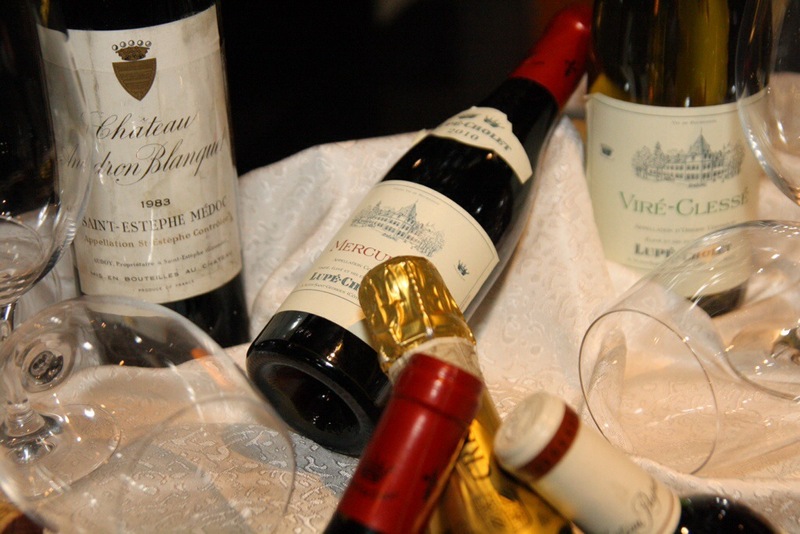 It takes a truly devoted team of wine lovers, not only sommeliers, connoisseurs, and gourmands, but also everyday aficionados to establish a true haven that showcases the varied elements of wine. This was the unrelenting vision that the people behind Magosaburo shared when they conceived the Mago Wine Lounge. Already renowned for taking high-end Japanese cuisine to the next level, Magosaburo decided to take the same pioneering approach in building what is perhaps the most state-of-the-art destination to serve fine wine. According to Ms. Sumida, it was challenging for her and Magosaburo Executive Chef Motomatsu to create the menu. The two devoted time and effort determining the dynamics between each bottle of wine and dish. 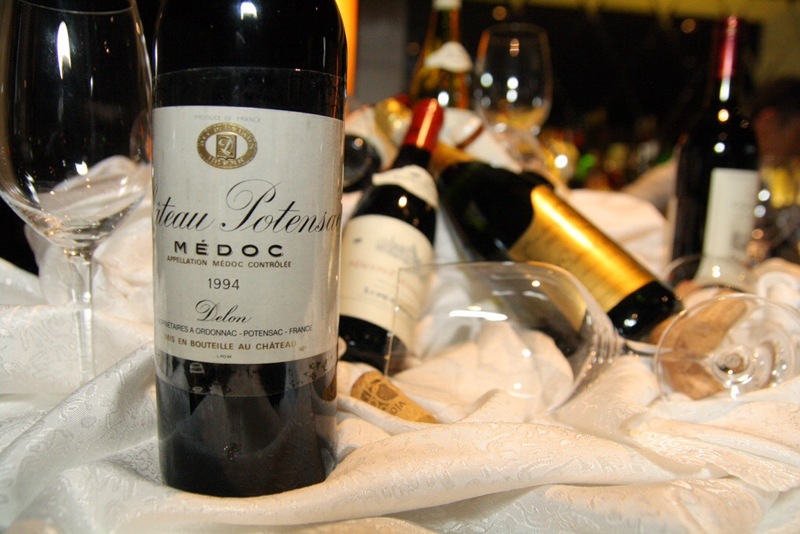 To make us appreciate wine all the more and to give us a better understanding of it, we were joined by the internationally renowned wine connoisseur Denny Wang of YATS. 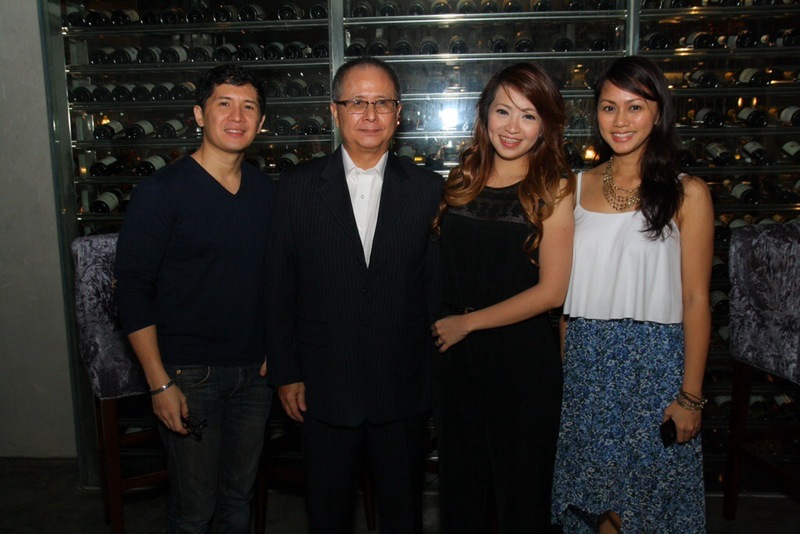 He is also the Executive Consultant of Mago Wine Lounge. Mr. Wang didn’t bore us with heavy notes. Instead, he walked us through each wine that was served making sure we appreciated each sip. Crèmant de Bourgogne from Lupè-Cholet. 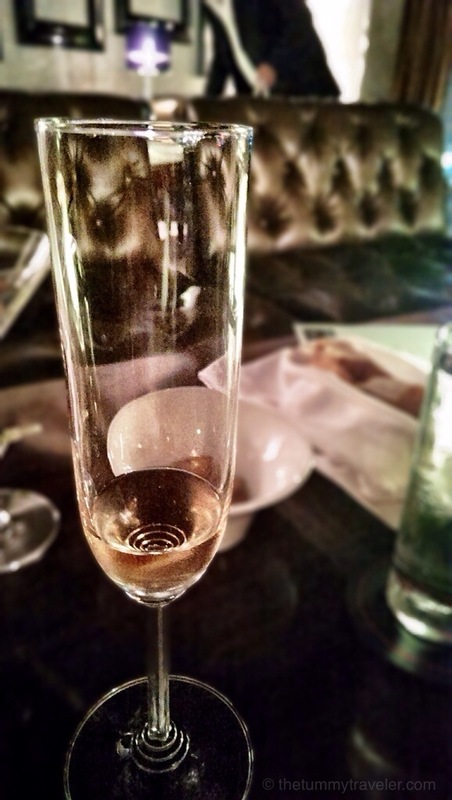 This is a Champagne-styled sparkling wine. I believe ladies will enjoy this because of its bubbly, light and classy appearance. It can be enjoyed anytime of the day. I actually liked it but drinking too much kind of gives me acid. Best partnered with cold cuts, cheese and even strawberries! This 2010 Virè-Clessè white wine was served 2nd. I find this woody with a hint of fruit. I know that white wine goes well with fish. But I partnered it with some cold cuts and cheese. I later on discovered, that it goes well with it, too. We also sampled this 2010 Saint Roman. This white wine reminds me of lime. It has a gentle clean taste. 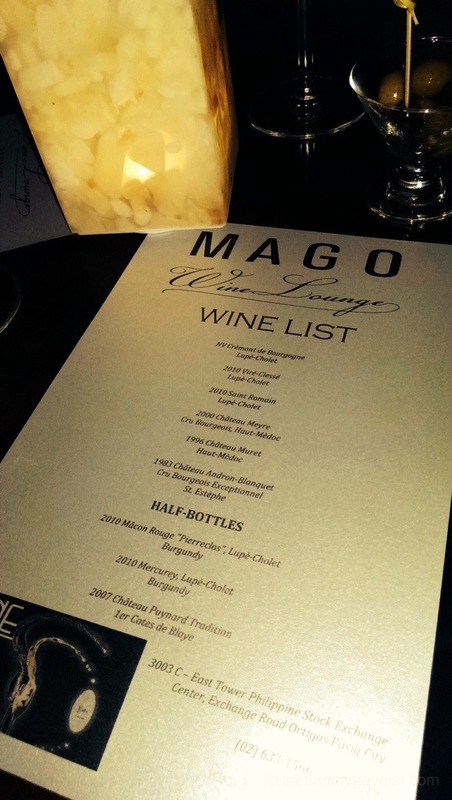 Mago Wine Lounge follows a strict protocol – from handling, storage, all the way up to serving. In fact, the Mago Wine Lounge staff are currently undergoing wine training sessions. We were also treated to a mouthwatering Jamon Serrano during this particular Wine Night. 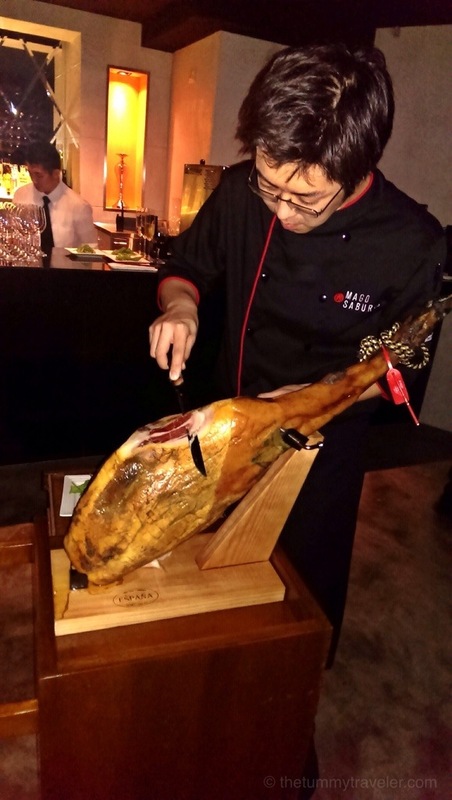 Here is Chef Motomatsu slicing some Jamon Serrano for everyone to enjoy and to partner with our chosen wine. In between chit-chats, we had our photos taken. 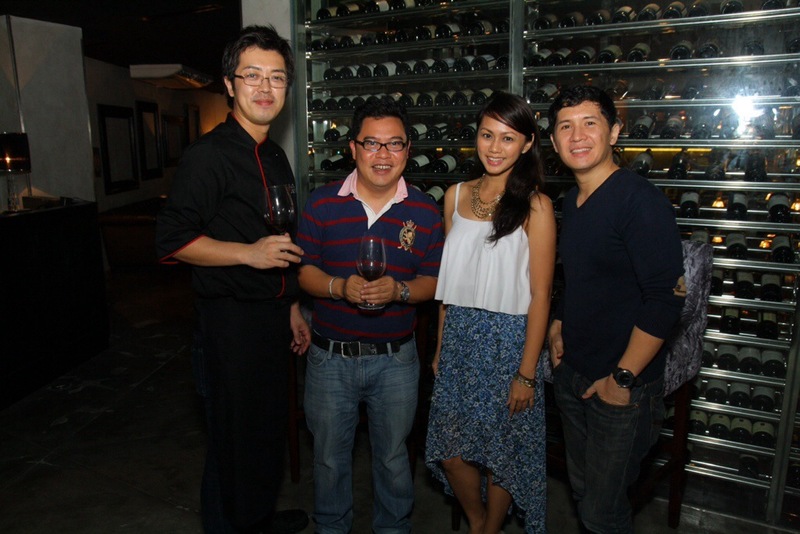 My husband Chuckie, Denny Wang of YATS Wine Cellars and the beautiful owner, Abigail Tabuchi-Sumida. We were also joined by Chef Motomatsu and Atty. John Javier. 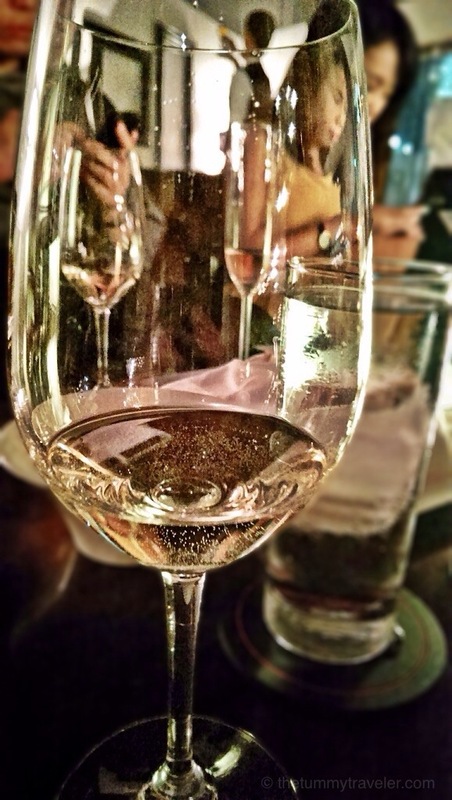 Mago Wine Bar has that executive-ish yet cozy feel at the same time. It has a separate entrance beside Magosaburo in case you intend to arrive later in the evening. A perfect place to cap off a night after a day’s work. 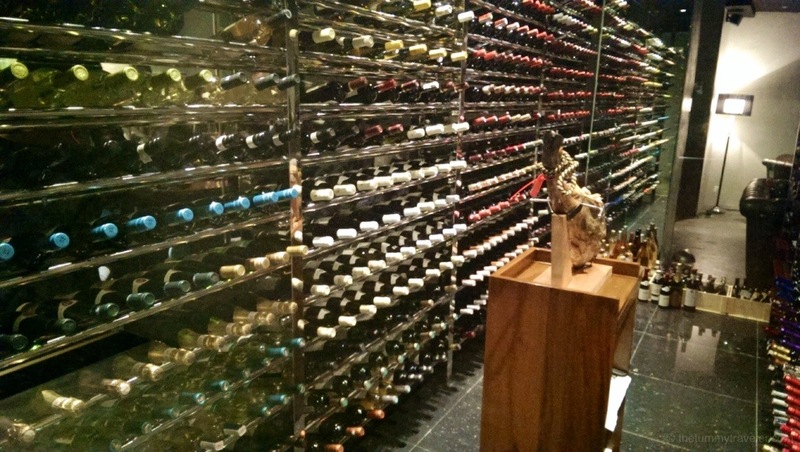 Magosaburo Philippines is the only franchise that has a wine bar. What’s inside my medicine pouch?